Perth feels very far away from the rest of Australia, and to a certain extent, the east coast’s dominant mentality ignores what happens in the west. But they’re the ones missing out! In 2008, a group of independent designers formed Made on the Left to showcase and promote West Australian handmade crafts. Today we brought our little bus into the city centre to attend Made on the Left’s winter market. The venue was the magnificent State Theatre Centre, overlooking Perth’s central train station. 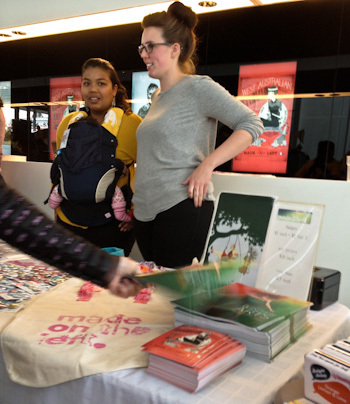 The staff of MOTL volunteer their time and efforts to promote West Australian talent. 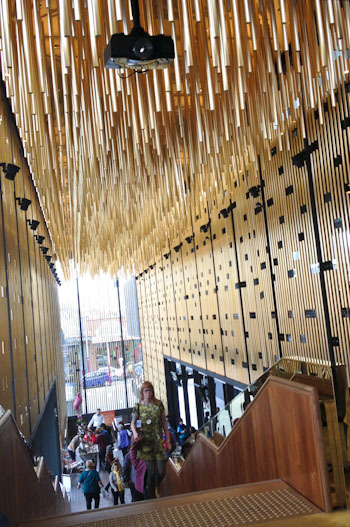 The MOTL markets are held within the halls of the State Theatre Centre of Western Australia, a grand, award-winning venue that was opened in 2011. 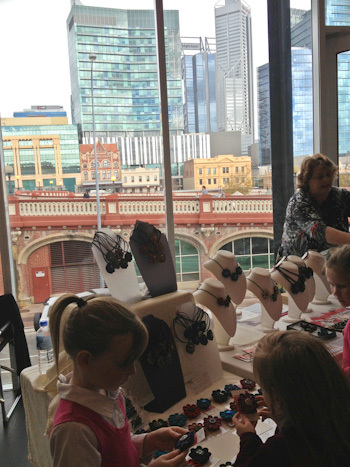 While the girls browse the jewellery on display, I admire the view of Perth's small CBD through the huge windows. We wandered leisurely past all the different stalls. So many different items were on offer, it was hard to find favourites. I directed the girls to “keep it in their hearts” if they saw something they really, really liked. This meant that I didn’t have to fend off multiple requests for pretty purchases. Instead, at the end of the market, we could stop and analyse those items that really called to us. 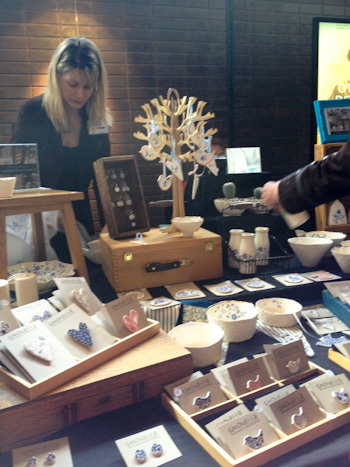 With eighty stallholders spread throughout four levels of the venue, there's enough variety to cater for every taste. We enjoy looking at all the beautiful things on display. There's so much talent and creativity in this area, and I'm delighted that these small businesses have such a great champion in MOTL! Made on the Left is like a taste of Etsy in real life. The stall-holders are usually the designers and creators. If there’s something not quite right, a friendly chat will lead to a personalised commission where you can get something to your exact preference. It’s wonderful that Made on the Left offers these markets to showcase West Australian talent, and it’s time that the rest of Australia takes note of the creativity coming from this side of the continent. If you missed this event and love to invest in local handmade products, mark December 8 on your calendar and get to the next Made on the Left market! Love the hold it in your hearts idea – that is awesome … thanks for a gentle parenting tip!! I was going to say the same thing! “Keep it in your hearts” is such a beautiful encouragement. My.parents are about to return to the West after exploring it extensively about 18 months ago. They love it so much with all its diversity and richness and have commented that, despite it’s vastness, there seems to be a beautiful sense of community there. For me seeing this is like two worlds colliding. I used to be a Perth Etsy seller and one day linked up other Perth sellers via the Etsy forums. We met up in real life on many occasions and all made friends. It was from this group that MOTL (as we affectionately called it) was born. Most of us are still friends and have our own little private forum now even though at least three of us have moved interstate or overseas (incl me). I was very touched to see you visited MOTL, if I was still in Perth I may have met you in person there. PS. those ladies pictured are some of my friends!